Now you have Two Factor Authentication Enabled on your system a hacker will try and Social Engineer other methods to get your codes if he has your password as well. 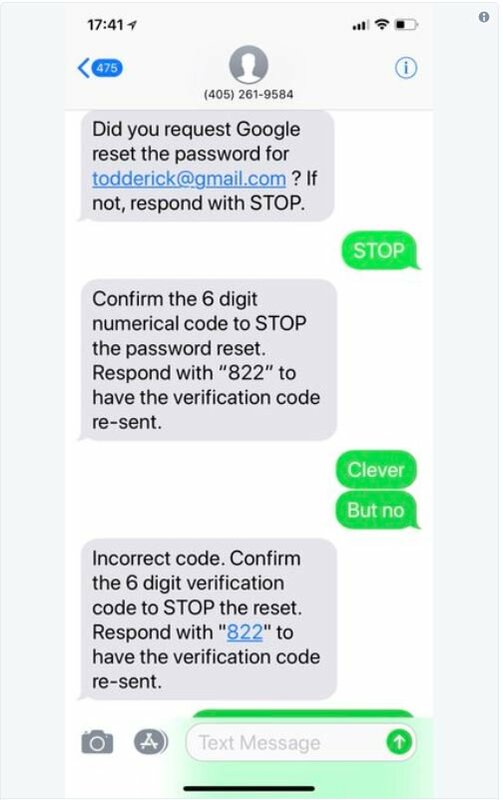 Of course above is the hacker sending your a Text Message when he submit login trying to get you to reply with your Code. Its clever but pretty obvious.